Remove student, Mahek Vara, has set up an educational charity, Code Camp, to teach computer programing to children in developing countries. 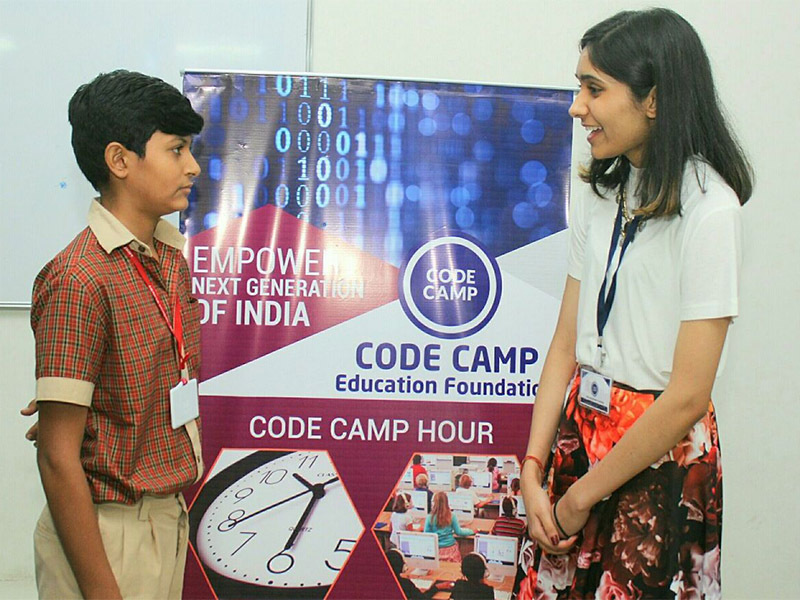 Already operational in 1810 schools in Gujarat and benefiting over 78400 children, under Mahek’s brilliant strategic vision, Code Camp is now extending into the region of the Gulf. It was her regular trips to India with her family that led Mahek to question why so many Indian children leave school without the computer skills necessary to express their creativity. ‘As I grew up, I realised that education for computing in state-funded Indian schools was in terrible shape, if it existed at all.’ Seeing that a lack of computer skills posed further barriers to children from low socioeconomic backgrounds as they sought to enter the 21st century workplace, Mahek decided to do something about it. She set up the Code Camp Education Foundation, a charity which, with the help of volunteers, imparts essential programing knowledge to children between the ages of 9 and 16. Mahek began by leading classes and teacher training days herself, training over 100 teachers. ‘Teachers from remote places came and learnt how to implement the Code Camp program in their own school.’ Code Camp can take place anywhere, so long as there are supervising staff, computers available and adequate space. 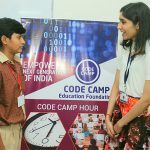 Now over 30 Code Camp volunteers not only teach classes of children in Indian schools but also train supervising staff so that they can teach computer programing themselves, through carefully designed specialist courses. Rapid expansion was made possible by the support of the Education Minister in Gujarat who helped Mahek to reach out to more schools, so that more children could benefit from Code Camp teaching and resources. Over the Christmas holiday, Mahek has been in negotiations with Ms Hawa Al-Dawoud from the Arab Yoga Foundation, to discuss how Code Camp may be further expanded into the Gulf Region. Her ultimate aim, is that Code Camp should help and inspire children from low socioeconomic backgrounds to fulfil their potential worldwide. For more information on Code Camp, click here.